American Tyler Alexander, one of the key figures in the founding of the McLaren team, has died aged 75. 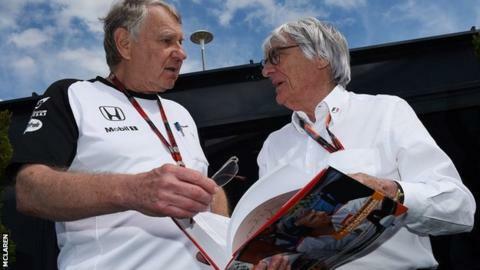 Alexander was centrally involved at McLaren for more than 40 years after being recruited by driver Bruce McLaren to help set up the team in 1963. He left in 1983, two years after McLaren was taken over by current boss Ron Dennis, but returned in 1989 and worked there until he retired in 2008. "Tyler was one of the first pillars of our company," said Dennis. "Bruce couldn't have asked for a sturdier pair of shoulders upon which to help build the team's reputation. Quite simply, Tyler lived and breathed McLaren." Founded McLaren F1 company alongside Bruce McLaren in 1963. His influence between 1967 and 1971 saw McLaren win all five titles and 37 out of 43 races in the US-based CanAm sportscar series - including, in 1969, an incredible clean sweep of all 11 events. In 1983, he departed McLaren, reuniting with Teddy Mayer to run an Indycar team in North America. Ron Dennis brought Tyler back to Formula 1, and to McLaren, in 1989. Retired in late 2008 after attending every Grand Prix that season, playing an important part in securing the team's and Lewis Hamilton's world championship success. In the early years of the team, Alexander worked alongside Bruce McLaren and fellow American Teddy Mayer in F1, first as chief mechanic and then chief engineer before becoming a director of the company. The company continued under Mayer following McLaren's death in a testing crash in 1970. In the late 1960s, Alexander moved to run the company's successful programmes in the US, first in the CanAm sportscar championship and then in Indycar racing, before returning to F1 in 1979. Dennis took over McLaren in 1981, first running it alongside Mayer before taking total control, and two years later Alexander sold his shares to Dennis and left the company. He returned to the US to join Mayer in running an Indycar team, which recruited as engineer a young Adrian Newey, now Red Bull's chief technical officer and the most decorated design engineer in F1 with world titles at Williams, McLaren and Red Bull. Alexander and Mayer were the joint team principals of the short-lived US-based F1 team Beatrice in 1985 and 1986. After its collapse, Alexander returned to Indycar racing before Dennis re-signed him as McLaren's special projects engineer in 1989. During his final 20 years with the company, McLaren won six drivers' and five constructors' world titles with Ayrton Senna, Mika Hakkinen and Lewis Hamilton. In a tribute to Alexander on the McLaren website, Dennis said: "Tyler was one of the finest of the old school: hardy, humble and wise, leaving a reputation and a legacy that will remain indelible in the history of international motorsport."